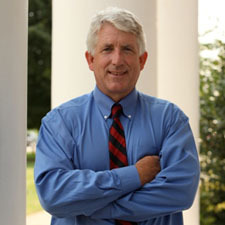 Democrat Mark Herring picked up significantly in a review of votes cast in Richmond, and has taken the lead in the still-too-close-to-call Virginia attorney general race. Herring leads Republican Mark Obenshain by 117 votes. Localities across the Commonwealth are expected to have their numbers in to the State Board of Elections by the close of the day on Tuesday. The Fairfax County Electoral Board will continue its review of provisional ballots on Tuesday. As of the close of business on Monday, Fairfax had accepted 172 of the 493 provisional ballots cast there on Election Day. The State Board of Elections is also awaiting results of provisional ballots cast in Montgomery County, Spotsylvania County and the City of Roanoke. The State Board will certify the statewide election results on Nov. 25. The losing candidate can then file a petition for a recount.